I live in Brooklyn. I’m a filmmaker. To live the life of an artist you must be curious, take risks and defy fear every day. I like what I do and I do everything as if it’s my last swan song. I am always looking for new ways of expression. I was born an artist…painting and drawing extremely young. It was something that came easily to me and I participated in gallery exhibitions and sold paintings as I pursued modeling and a life in theater. I started life in Quebec, Canada, the youngest of three big and boisterous brothers, and an independent and outspoken sister. My parents were composers. In their early years they sang together on radio, and taught their children to play music. My mother was an accomplished pianist and a school teacher. My father was a philosopher and a veterinarian. My parents were kind and highly educated people who hated injustice. Before I was a twinkle in their eye, they lived through an era where the Catholic Church and Government ruled in Quebec. Non Catholics were ostracized and Jehovah Witnesses targeted. My parents witnessed violence against neighbors who were Jehovah Witnesses. My mother would bring food and bibles to a group of them she knew in the town jail. I wasn’t born yet but my family was very poor. At one point my mother had to scrub floors and my father struggled because no one would hire them. Years later when I was born my family left Quebec because my father found work with a Veterinarian hospital in Rhode Island. We moved to Rhode Island in the last throes of America’s racial strife. Mother became an organizer and a musical director who played piano and helped fundraising events for the NAACP. Our entire family were members. At times the events were raided by police who were intent on harassing the organization’s efforts. I was a tiny girl, and remember them busting into an auditorium while my mother was playing piano to arrest a couple of black performers. That was just one of the earliest times I felt abject fear. I escaped into the music and dancing that filled the house. I was taught piano from a young age but just couldn’t sit still so I sang and mimicked actors on TV to get attention. I occupied myself, drawing, creating stories and pretending. We returned to Canada when I was nine years old and we ended up in the Laurentians of Quebec where my mother taught school on an isolated Canadian/American Air Force base. There were packs of wolves, moose and other wildlife that would appear on the road as I went to school every day. I loved the forest and learned a lot about nature in the three years in the wilds of Quebec. Nature gave me solace from my incessant loneliness. Three years later we moved to Montreal where I continued school and eventually university. I also performed as a mime with Claude St. Denis and as a jazz dancer with a jazz company in Montreal. My mother had nurtured that in me and made sure I had a room to dance in. It was my therapy and my religion. My mentor, Norma Springford, (a founder of Canadian Actors Equity and at one time had taught Christopher Plummer), advised me to study at HB Studio with Herbert Berghof in New York City. I felt like I was walking into an abyss. 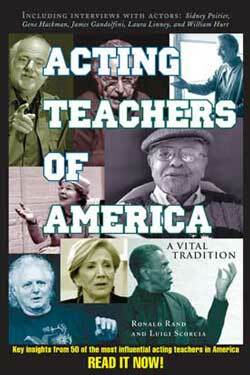 I wrote plays, acted and was a guest director at the Theatre Ensemble Studio and other venues. I worked for the sake of the art. Through it all, I held on to my theatre discipline. There was so much theatre going on in New York in the 1980s. Every apartment building was rife with entertainers and you could actually afford to live here and go to class and work and party too. Culture leaked out of the concrete. One afternoon I saw the great Geraldine Page on stage, playing the mother to Rip Torn’s “Hamlet.” It was a breathless experience and aside from the few moments of bliss that I had felt on stage, it profoundly changed my focus. I now had something to strive for. I was accepted into the NYU Film School, a three year program and created my first two short films, “Urban Inquisition” — about a gay bashing of two women, and a comedy, “Fowl Play” with Jack Mulcahy in the lead role. At a NYU screening, I was approached to enter “Urban Inquisition” into the New York International Independent Film Festival. So it opened for a documentary about Celine Dion to a lot of applause and outrage. Human rights groups and other festivals were reluctant to screen it because the woman in the movie defends herself with a baseball bat and kills the perpetrator who raped her girlfriend. I ended up being interviewed on a TV show. I liked the creative control and strong response my work had and so I was hooked on a new medium. My theatre training from building a set to acting to directing really prepared me for the kind of film making I was to do. I had no money so I learned everything about making a movie, script writing, production, being director of photography and editing. Later on I formed my company, L’ORAGE Ltd and bought a DVX 100, set up an editing station with Final Cut and I was ready to make movies. I was dead set to practice filmmaking as an art form. I would take as long as I needed to fulfill my projects, never compromising my intent and then get them out to the mainstream. 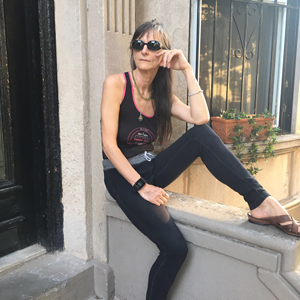 I realize now had I not experienced the struggles growing up I would not have been so willing to create the two feature documentaries, “A Castle in Brooklyn – King Arthur” and “Blues for 475.” Both films are about expulsions of artists their homes, both as home owner and as renters. I investigated the two distinct incidents to reveal a new and deceptive modem of eviction which I call, preemptive forced eviction. It led to me learning about Human Rights and screening the films at the United Nations in Geneva for the Universal Periodic Review of Human Rights Violations in housing. “A Castle in Brooklyn, King Arthur,” became a ten year saga where I followed, participated, observed events and the aftermath of the Kafkaesque story involving the Broken Angel building in Brooklyn, which was taken from its owner/creator, Arthur Wood and his wife Cynthia. I embedded myself with the Woods and was able to be present at vital events and even after Arthur left the house for the last time I wanted to show what happened to him, his art and the backlash on the community. It has taken me eight years to find and film the people involved in the film, “Touched by Duse,” and it will change again after we complete the last shots in Italy this coming spring. 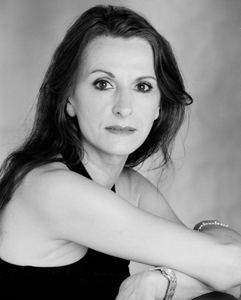 There, my collaborator, Canadian actress, Jennifer Dale and I will meet for the last time to complete our journey for Duse. I have felt extremely passionate to re-motivate myself every day towards its completion. The documentaries I have done are not traditional but almost narrative in form, well integrated with original music — impulsive and proceed despite the lack of financing that has not stopped their creation. Getting to know Eleanora Duse taught me to approach my filmmaking as an art form. I find it truly mystical that my friend, actress Jennifer Dale, who I hadn’t heard from in many years called me and in doing so reminded me to have faith in our religion of art! 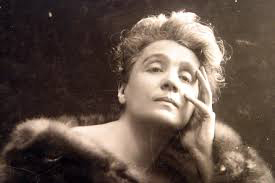 In the course of our conversation she shared her passion for Eleonora Duse and wished to do a movie about her. She asked me if I could produce the movie and take over. I was already filming two documentaries about forced eviction of artists but I believe in destiny, so I consented. Although there was no financing, the journey began. I embarked on the film as if it was a quest to find Duse. I acquired the movie, “Cenere,” the only film that Duse ever made and looked at it often so I could learn about her movements, feel her presence. We interviewed author, Helen Sheehy, author of “Eleonora Duse – a Biography,” who made Eleanora Duse’s story accessible. We were able to film Academy award-winning actress, Ellen Burstyn at her home in her room filled with Duse and Eva La Gallienne artifacts. Some of the relics she showed us were earrings, that she wore for good luck during performances, perfume bottles, and a prayer book with a four leaf clover, that Duse picked. I was profoundly moved. Living in the moment is what Duse taught us in the art form of acting. Living in the moment is also a Buddhist concept, and one I practice through Nichiren Shoshu Buddhism. It is difficult to change preconceptions and challenge what appears to be your fate but when you can do so then life becomes art. Every time I learn a new means of expression my world expands. Award-winning actress Ellen Burstyn with Auteur, Tyler A. Chase and Actress/Collaborator, Jennifer Dale at shoot for the upcoming movie, "Touched by Duse"
If you ask me what I want from life… I want to be surprised and to experience the magic of the unexpected. People have commented that my outlook is hedonistic or that I’m fighting demons. Well, no kidding. Do you know any creative person who isn’t fighting their inner demons and isn’t that the very essence of creativity? Being a woman in the art world is changing but history shows that only a very small percentage of us can make a living on our work as compared to men. That being said, we learn to be persistent, to adapt and to create our own reality. It doesn’t matter what method you use, acting, painting, sculpture or poetry, you are the only thing that you own and that can’t be taken from you. The thing I fear most in life is stagnation and boredom. I’ve lived many lives and recreated myself many times as consequently evolved as an artist. TYLER A. CHASE is a multifaceted artist/filmmaker/photographer and commercial sUAS pilot. 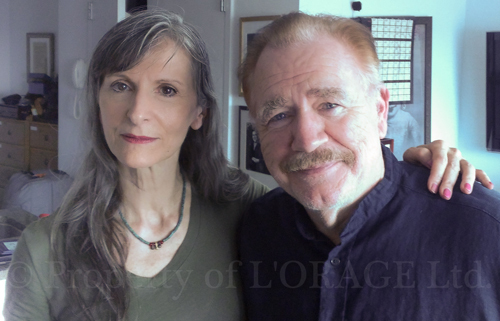 Founder of L’ORAGE Ltd. Her films include “Urban Inquisition,” “Fowl Play” starring Jack Mulcahy. Both films screened at: the Tribecca Screening Room, the Cantor Screening Room, New York International Independent Film Festival, Ocularis Open Eye and The Pioneer Theater. Ms. Tyler was Associate Producer of award-winning documentary films by Joanne Cheng: “Mama's Gold” and “China Gold Rush” (aired on PBS as specials). In 2012 she completed the short psychological thriller, “Animal Crackers “(Pentimenti) receiving an Award of Merit and an Accolade Award. Her documentary features include “A Castle in Brooklyn, King Arthur” narrated by Brian Cox (recently screened at the Howland Library in Beacon, New York), and “Blues for 475.” Both films appeared as part of the United Nations Universal Periodic Review of Human Rights Violations in Housing at the United Nations in Geneva, Switzerland. 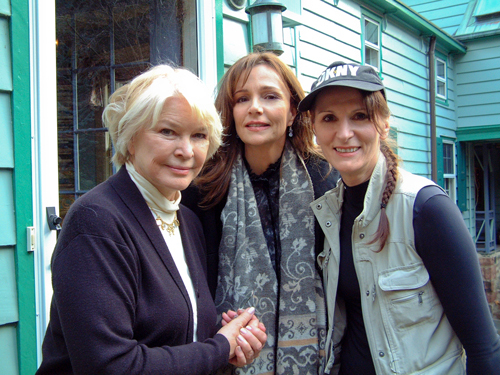 Her film, “Touched by Duse” includes guest appearances by Ellen Burstyn, Richard Thomas, Paul Sorvino, Marian Seldes, Ronald Rand, Elizabeth Ashley, Angelica Page, Susan Batson, Anne Jackson, Helen Sheehy, Austin Pendleton, and other special guests. The music was composed and performed by Cody Geil. The film has been screened at the Dante Alighieri Society in Cambridge, National Arts Club, Kanbar Instititute of Film & Television (NYU Tisch School of the Arts), William Esper Studios and The Players Club. 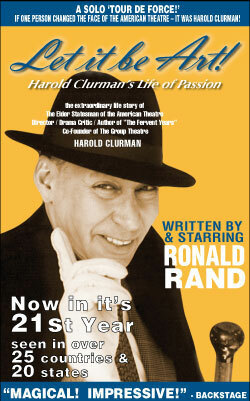 I am so honored to be part of “The Soul of the American Actor,” and Ronald Rand’s passionate efforts for the theater arts. He is a rare human being and I’m proud to know him.